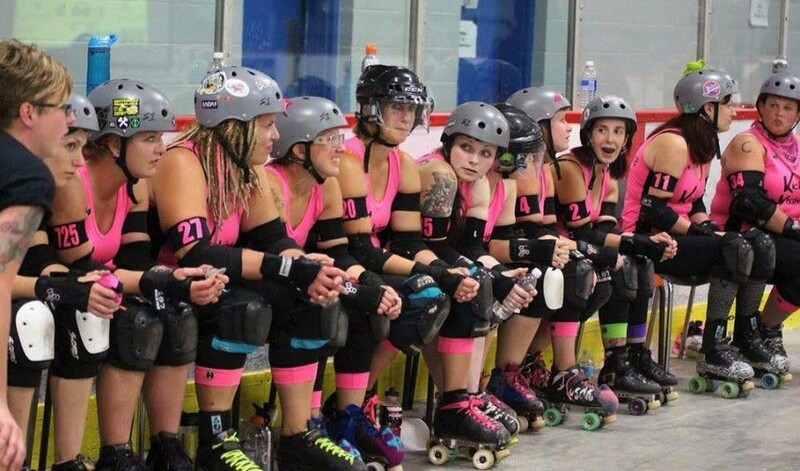 Highland Derby Dolls is Pictou County’s first and only women’s flat track derby league. Our league operates under the rules and regulations set in place by the Women’s Flat Track Derby Association(WFTDA). We are a non-profit organization owned and operated by our skaters. Roller derby is a full contact sport and requires more than a skirt-full of determination! We are a group of highly dedicated gals that are passionate about the sport! Our league has grown out of a desire to have an all female sport in our area that has a dose of strength, a dash of feminism and a whole lot of competitiveness….and let’s not forget those hard hits we toss into the mix! Want to join us? All levels of skaters are welcomed and anyone interested in refereeing, non-skating officiating or volunteering is encouraged to contact us! We are always on the hunt for fresh meat and anyone else who wants to get involved! Come give our practice a quick peek and slap on some skates to see what it’s all about! Shorty shorts and tacky knee socks are optional but always welcomed!